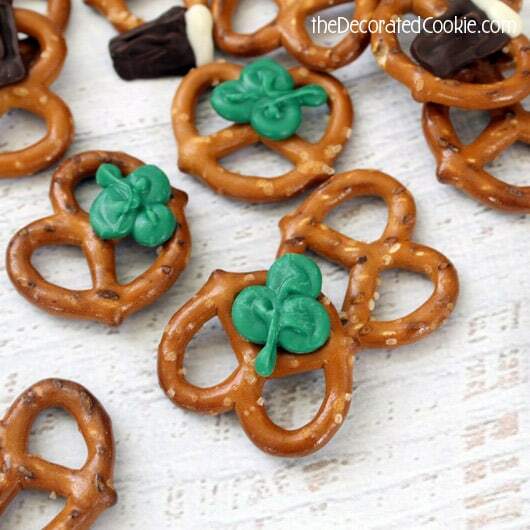 How to make Guinness and shamrock St. Patrick’s Day snack mix. Oh, St. Patrick’s Day. I remember you. I mean, the real you. Going to the Irish pub in the morning and staying there all day drinking green beer just because it’s a day you sanction for doing such a thing. Those days are in the past (thanks a lot, 1 year old and 6 year old). 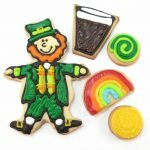 Now St. Patrick’s Day means making green paper chains and construction paper shamrocks. And maybe, just maybe, a shot of Irish Creme in my morning coffee, because I’m half Irish, so it’s required. I remember the year I made this homemade Irish Cream. Fondly remember. 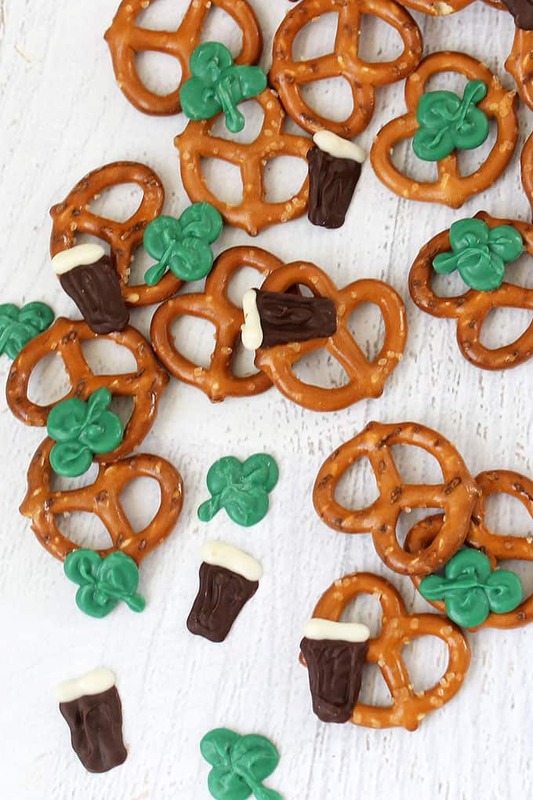 At least this St. Patrick’s Day snack mix has some “beer” in it. 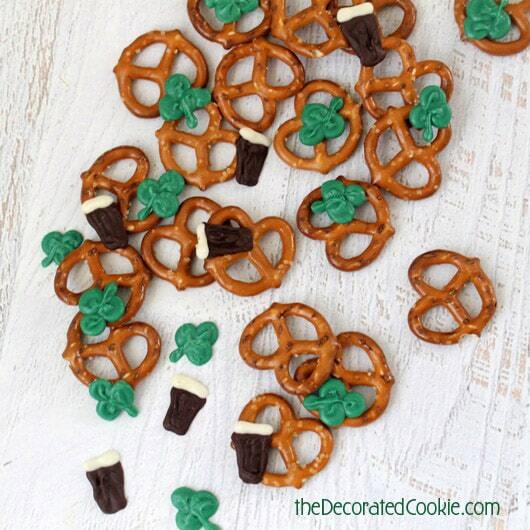 If you’re looking for more St. Patrick’s Day food ideas, check out my Pinterest board. And so, in keeping with my much lamer St. Patrick’s Days, here is something tamer. 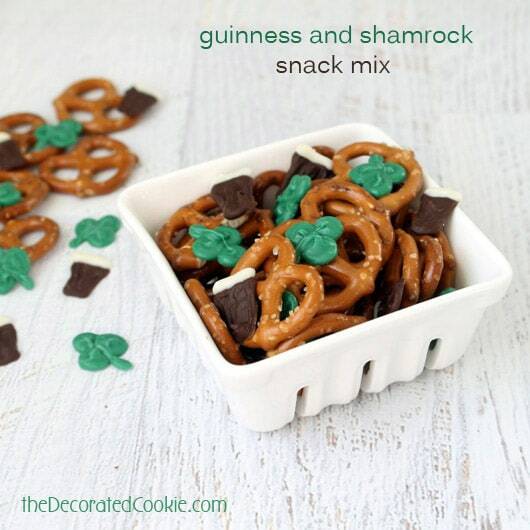 Sweet and salty snack mix with a bit o’ green. And you know what? I’m adding some Guinness. *Find the candy melts and 12-inch disposable decorating bags at the craft store. To find supplies, CLICK HERE and see the end of this post for resources. 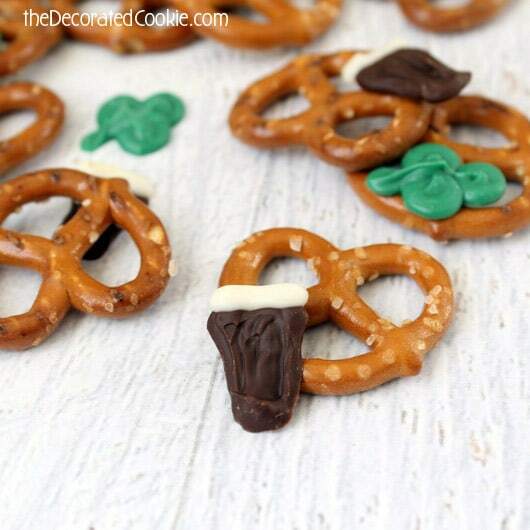 If you want to make life easier, skip the Guinness and forgo the white and chocolate candy melts. Line a baking tray with wax paper and set aside. 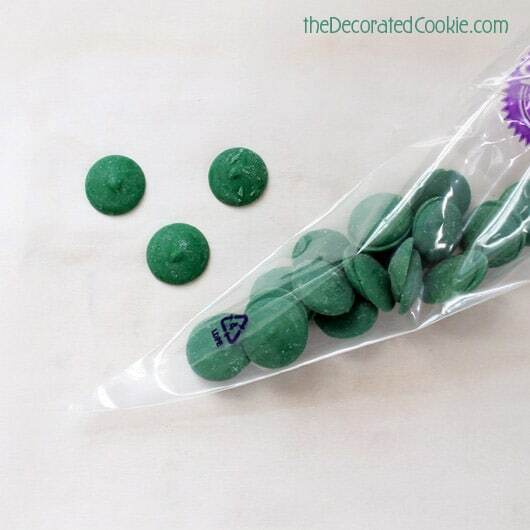 Fill a disposable decorating bag with 1/2 cup of green candy melts. Melt the candy for 90 seconds at 70 percent power then at 30 and 15 second intervals, massaging between each interval until the candy is fully melted. Snip 1/4 inch from tip of the bag. 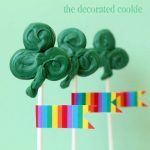 Pipe shamrocks about 3/4 inches across on the wax paper by piping three dots and a little line. 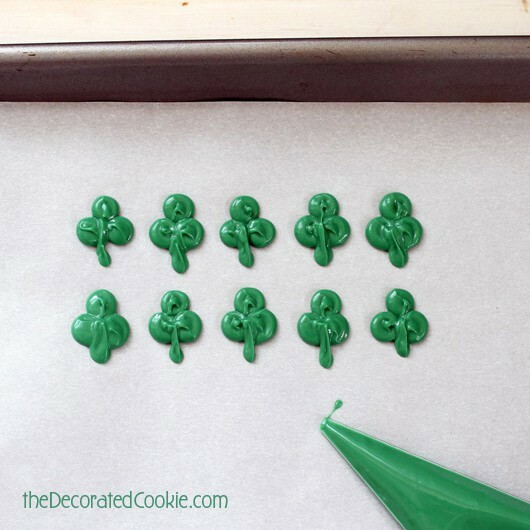 A 1/2 cup of candy melts will make about 70 mini shamrocks. 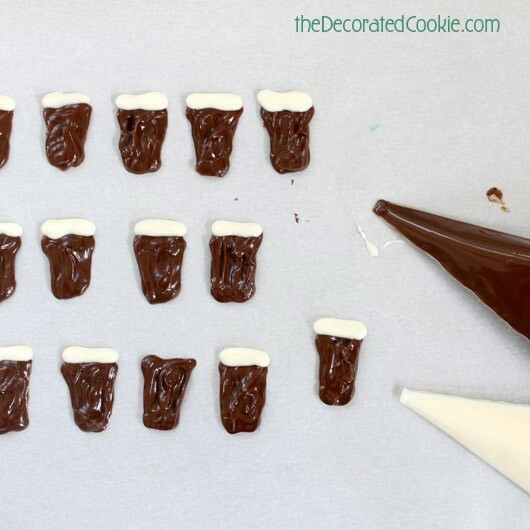 To make the Guinness, melt chocolate candy melts and white candy melts in two separate decorating bags, following the above instructions (although I used less than 1/2 cup of each). Snip the tips and pipe the chocolate trapezoid glass and a line of white for the foam. Don’t worry about piping perfection. I clearly don’t. Let set at room temperature until fully hardened, about an hour. Mix with anything you want. Pretzels, nuts, cereal, etc. Life sure does change, doesn’t it? 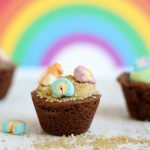 I’m sure this treat will be a hit with your kiddos and they’ll have fond memories of making green paper chains. You’re so right, Beth. And I can’t even blame the kids, really. At my age, I can’t fathom why ANYone would want to sit in a bar all day drinking green beer!? Ew. Very fun! I love the sweet/salty flavor combo. 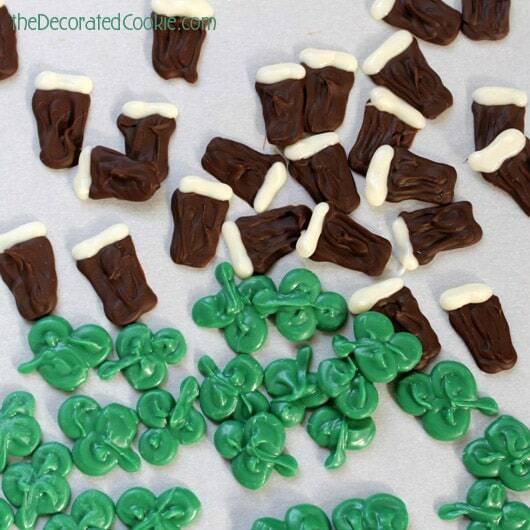 Those chocolate shamrocks are perfect! 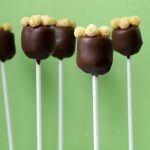 I gotta try those for some St Patty’s cake pops I’m making.